Fermentation: The grapes, picked in the first 10-20 days of September, enter the press after being cooled down by a few degrees. The must is left to rest in order to separate itself from the sediments before beginning the next phase of vinification. Aging: 50% of the grapes are fermented and fined in new medium toast barriques for approximately 150 days, while the remaining 50% is fermented and rests in temperature controlled steel containers. In March of the year following the harvest, the two wines are assembled and refined for about 6 months. After a further refinement of four months, the wine is bottled. Tasting Notes: Pale yellow in color, crystal-clear with a tint of green. 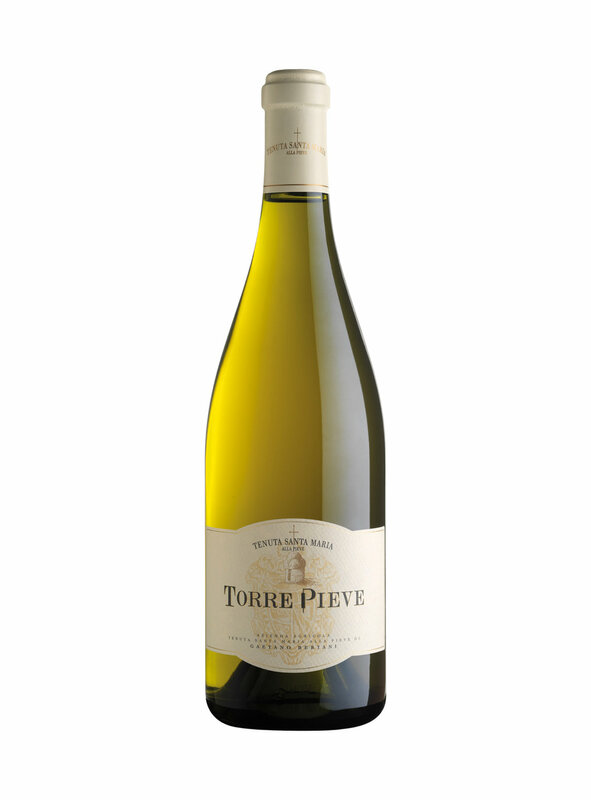 Intense perfume, typical of Chardonnay, and an aroma of fresh fruit. Subtle vanilla scents fading into exotic perfumes of pineapple, banana, and citrus and then finishing with hazel-nuts and melted butter. The wine denotes an excellent and elegant refined structure and is well-balanced between acidity and sapidity.